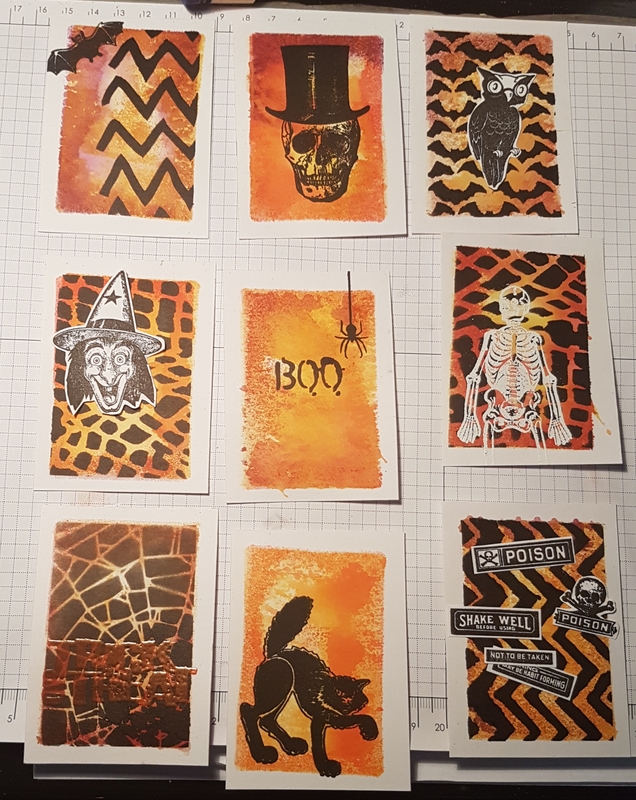 Spooky goings on in my craftroom… well spooky stamps and stencils at least. 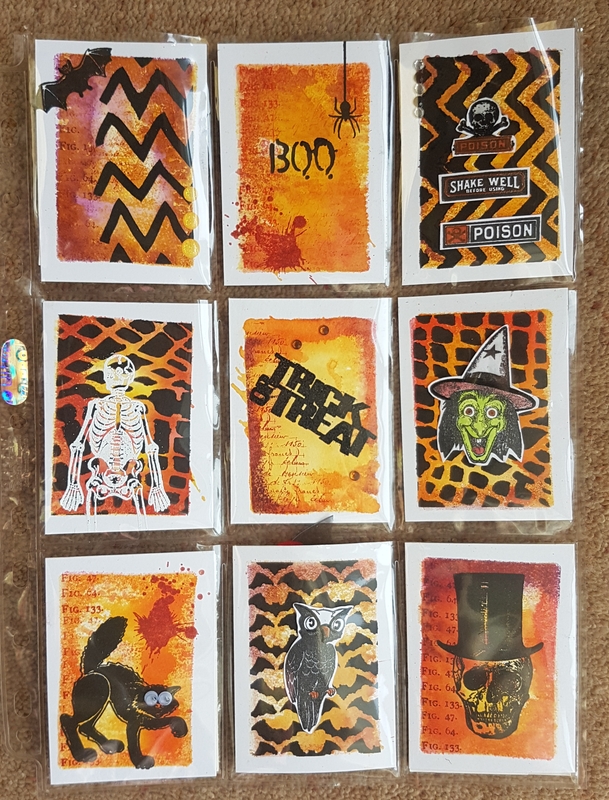 I joined in a project letter swap where the theme was Halloween as I wanted an opportunity to use my limited Halloween supplies! And determined not to just use my trusty oxides I decided to grab a selection of distress inks instead and my mini rectangle gelli plate. I love this technique for adding a simple background for atcs which has plenty of interest. 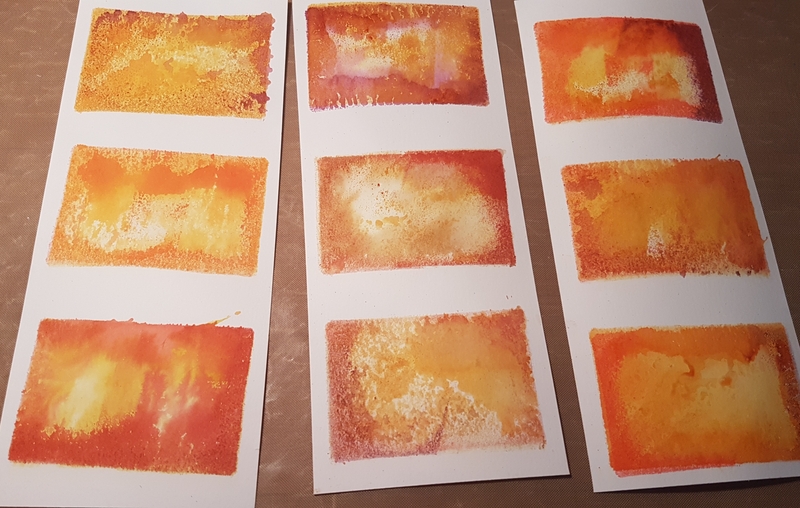 I added the ink and then sprayed water to the gelli plates and made all nine panels by layering the different colours. Next I cut them up, masked the white edges and started applying black Dylusions paint through stencils. 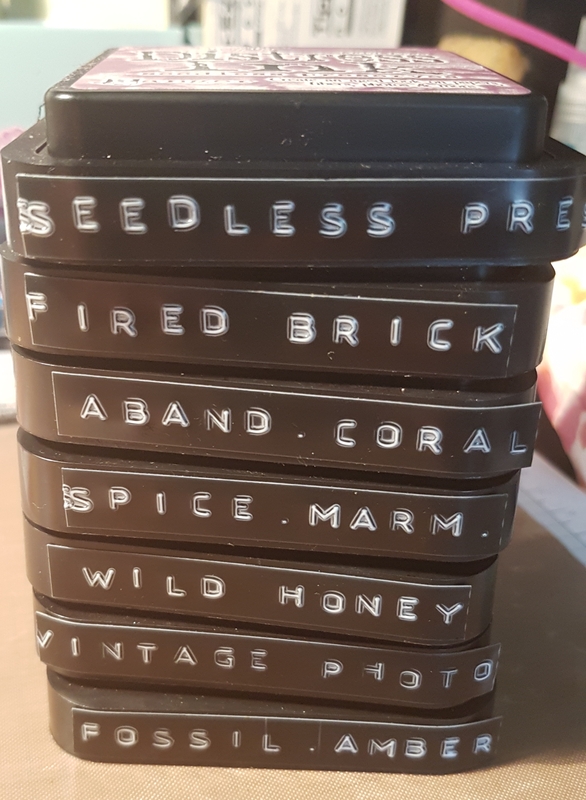 I kept a few without stencilling too. I made a mess on the one with the web later so made another one and didn’t add the web the second time. Next it was time to add stamping… some were stamped directly onto the cards, some embossed and others onto pieces of white card and then cut out. I then added a few extra features to some of the elements. The pic above is before loose pieces were stuck down. 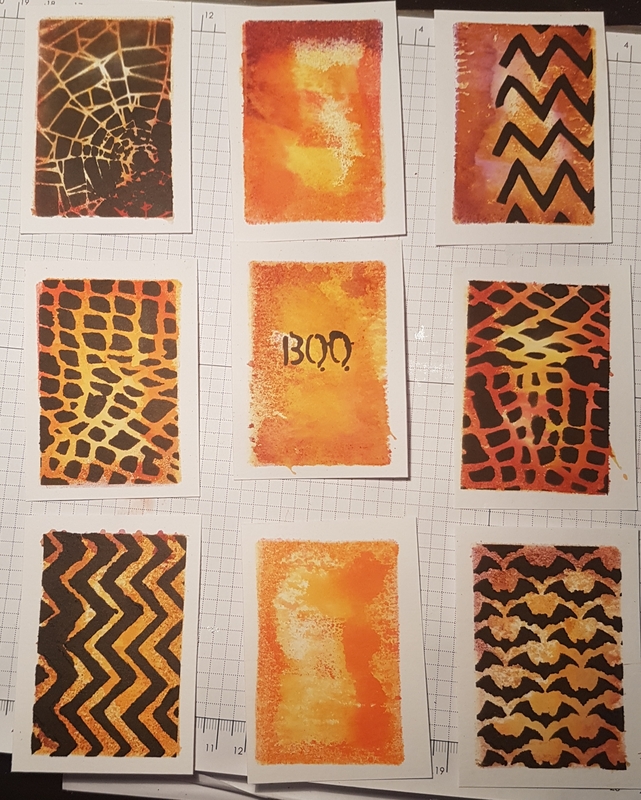 I added hand drawn elements for embossing using the orange, clear and black embossing powders. This added some extra fun to some of the images. I also added a little bit of water colouring for the witches face. Next it was time to assemble and put them into the pocket letter. I decided that a few needed some additional elements…. for some it was additional stamping and others it was some added bling… the cat even got some googly eyes! I really love how it looks with those arty backgrounds and the white edges. I’m going to have to keep playing with the gelli plate to make more like this… maybe for Christmas ones? I added goodies to each pocket and a little note in true PL style and hopefully the recipient likes the full gift! And as for the challenge… well that’s another 9… taking me to 362! 3 more to go!